An EnviroCloth in four colors, so you can color-code for each area of your home. Clean more safely, quickly and thoroughly using superabsorbent Norwex EnviroCloths. You’ll save time, money and the environment using only water—reducing landfill waste, eliminating chemicals in waterways and protecting your family’s health as you cut down on dust and reduce chemicals in your home. Used damp for general cleaning and heavily soiled areas, it picks up everything using water. Cleans any surface including bathrooms (taps, sinks, tubs, counters, toilets and more), walls, windows, floors, vehicles, toys, tools, kitchen appliances and surfaces, outdoor furniture and much more. Champagne and rose quartz color options are each made from 70% recycled materials—the equivalent of two 500 ml recycled plastic bottles. The average household spends $600 – $800 a year on cleaning products and supplies. 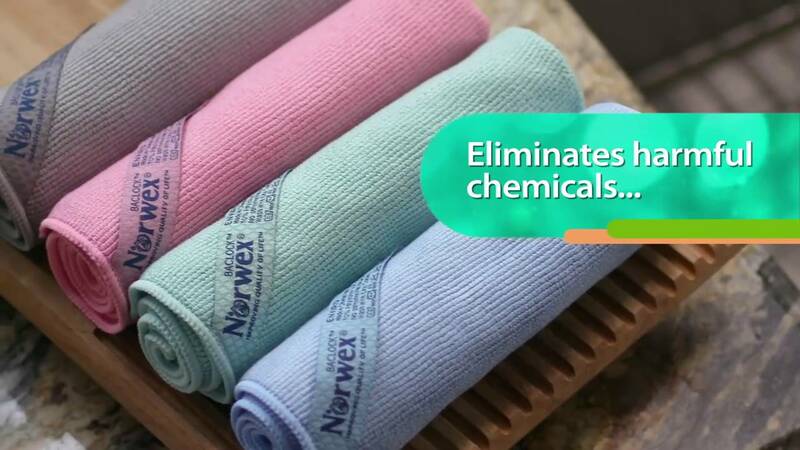 Norwex Microfiber can help significantly reduce the use of cleaning products and supplies. 3,000 tons of paper towel waste are created every single day—that accounts for 51,000 trees and 60 million gallons of water, per day! Most paper towels are bleached. Drying your hands with them can leave your skin rough and cracked.